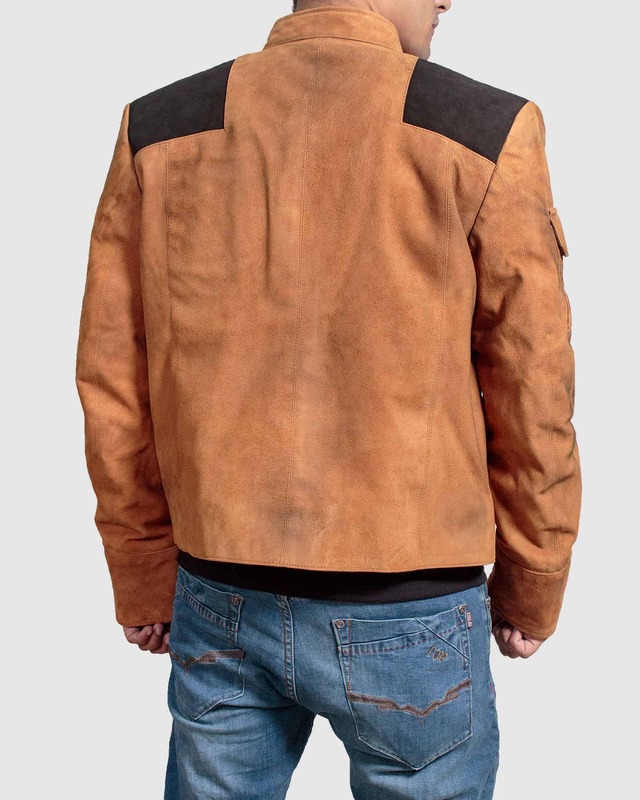 Alden Ehrenreich Han Solo Jacket is an inspiration from the upcoming movie Solo: A Star Wars Story. Alden Ehrenreich is best known for roles in fantasy drama Beautiful Creatures and Coen Brothers’ Hail, Caesar! who is taking over the role of the overconfident space cowboy from Harrison Ford. This Jacket is made of high-quality suede leather features an erect collar, open style front closure, two front side pockets and one flap arm pocket. The jacket is fully lined from inside and has one pocket for keeping your valuables.